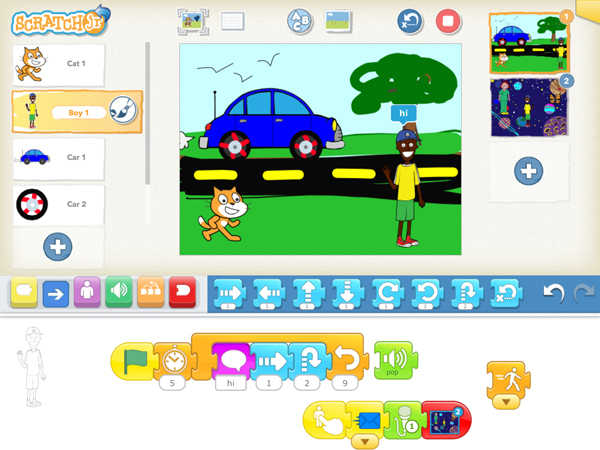 Screenshot of ScratchJr project by Addie Matteson. I have a confession. Even though I know how vital and empowering learning to code is for my primary students, I often struggle when I try to embed those skills into core content lessons. My intermediate (third, fourth, and fifth grade) students have no trouble using Scratch or Hopscotch to create a game to practice math facts or an animation depicting the Battle of Yorktown. But, it can be a challenge to get my first and second graders to a similar level of coding comfort. 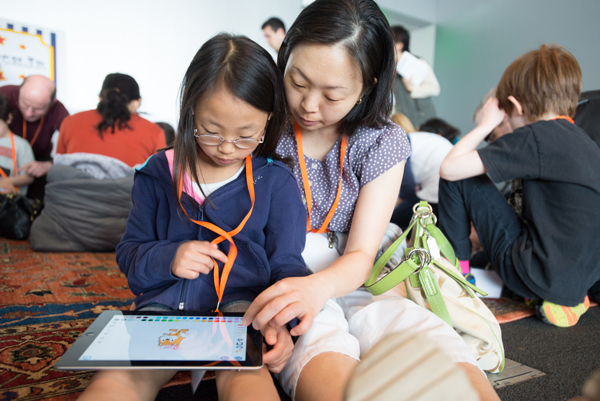 When the MIT Media Lab and researchers at Tufts University launched ScratchJr last year, I was thrilled. An introductory programming language designed for younger learners aged five to seven, ScratchJr works on our iPads (also available as a free app for Android tablets), and is hardwired for telling stories. Using ScratchJr, I've been able to integrate coding with storytelling, allowing students to stretch their creative and logical sides at once. The following are some of my most successful ideas for integrating coding with ScratchJr into core academic work. Note: ScratchJr (available in both English and Spanish) has its own language. Individual objects that can be controlled with code are called “characters.” Each unique background creates a “page.” ScratchJr programs can consist of no more than four pages. A “script” is a line of code that begins with a control of some kind. One character could have several scripts, which allow it to react in multiples ways depending on the trigger. One way I have woven ScratchJr into student storytelling is to transform the personal narrative assignment into an interactive program. ScratchJr has a built-in function for using the camera on an iPad to take a picture and embed it into a character or background image. Students can snap a picture and add their own face to a character or set their classroom as a background. 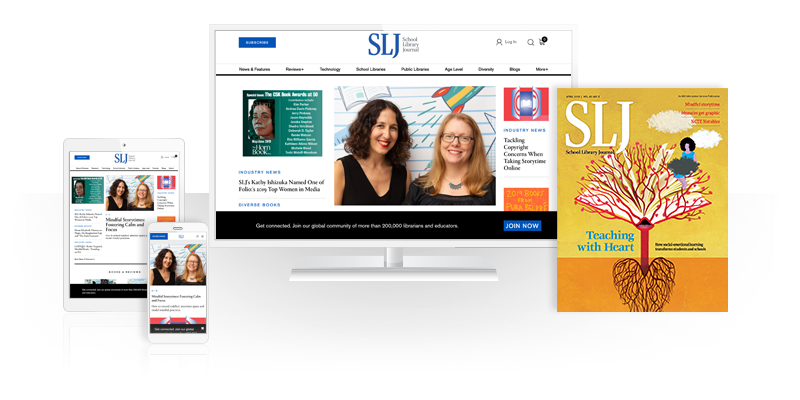 Using this tool, students as young as first grade easily insert themselves into the program, making it a perfect vehicle for telling personal stories. This lesson easily adapts to fit a variety of personal narrative assignments. I keep it simple for younger students and have them create just one page, with characters/objects that are programmed to tell parts of the story when tapped. For older students, I have them use all four allowed pages to create a story that progresses from one scene to the next. This project works on its own, but it’s also great to use at the end of a unit about writing personal narratives. ScratchJr enables writers to represent their work visually. One of our favorite ScratchJr storytelling assignments is a twist on the multimedia book trailer. I ask students to use ScratchJr to recreate a scene from their favorite book. In order to create the book characters they wish to portray, students edit ScratchJr characters already loaded in ScratchJr, or draw their own. They can also use the microphone to record short audio clips to make the program more interesting and interactive. Every new character and background students draw is added to the character library in the app for later use. Older students are able to take this assignment to new levels. My fifth graders have used ScratchJr to review books, make “name your own adventure” versions, which allow users to change the ending of the book, and develop games based on the books they love. Two of the more advanced blocks of code available to ScratchJr users are the send and receive message blocks. These code a character or background to broadcast a command to another, allowing the characters to react to each other and to actions taken by the person interacting with the program. A fun way to teach this coding skill is to ask students to create a mystery, with clues that need to be found and riddles to be solved. Using the send/receive message blocks, students code the clues to lead their audience to “find” them in the correct order and solve the mystery. While more advanced coders might choose to make their audience work to solve the mystery, beginners can create a mystery that progresses through each clue automatically, solving itself. The range of options is a wide as the range of coders. Addie Matteson (@queenaddie) is a library media specialist at White River Elementary in Noblesville, IN.